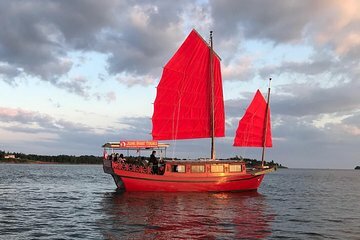 Learn about Chinese exploration and sail out into the sea on this tour of Charlottletown. Set out on a restored Hong Kong-built Chinese junk boat and cruise out into the harbor. With the help of many props and visuals, hear stories about Chinese history and immigrants in Canada. Enjoy snacks on daytime cruises and dinner on nighttime cruises.